Copies of this OG started to emerge in the last year on the collectors’ circuit. Prices have been very high. It’s another essential piece in the evolving Antilles canon of music. New label Granit Records reissue this still widely unheard artist very soon. The LP fuses traditional styles such as Gwo-Ka, Bel Air and Biguine with reggae-not-reggae, proto zouk and synth laden jazz funk. 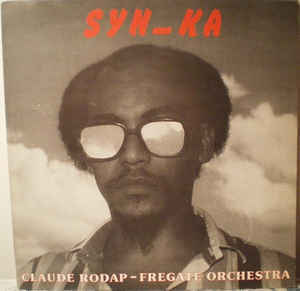 This private press was produced in 1982, in a context where many French Caribbean musicians were searching for their own style, both in Guadeloupe and Martinique, as well as in Europe.